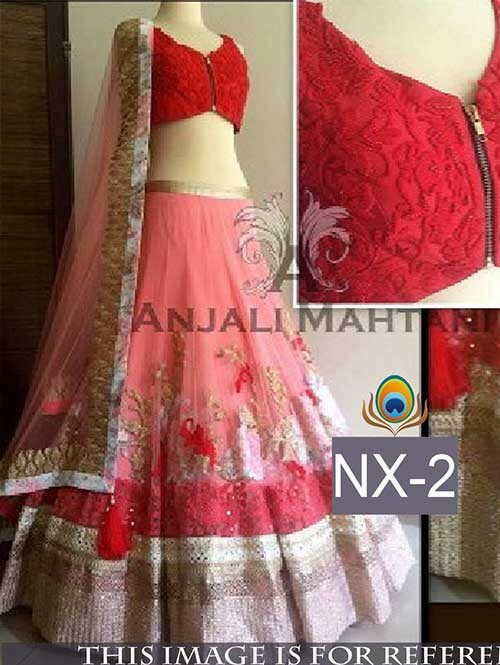 Light and elegant, this red lehnga is perfect for this wedding season. 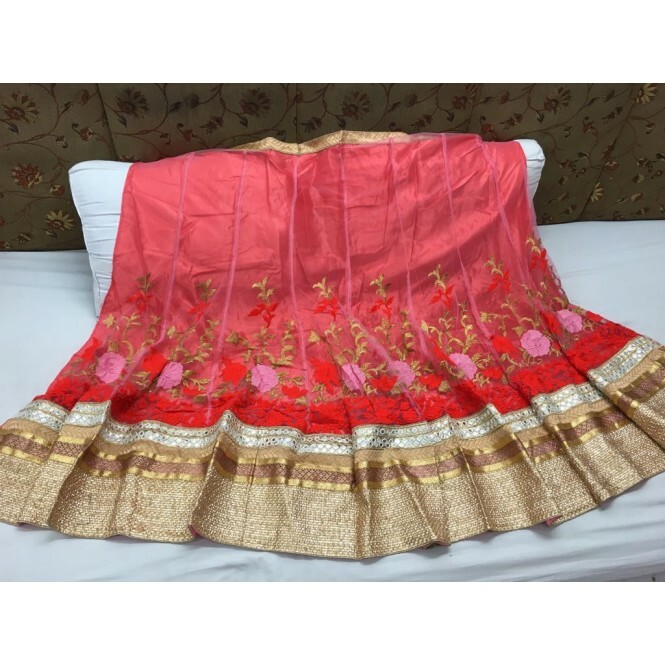 The skirt is made of embroidered net with a lining of satin fabric. 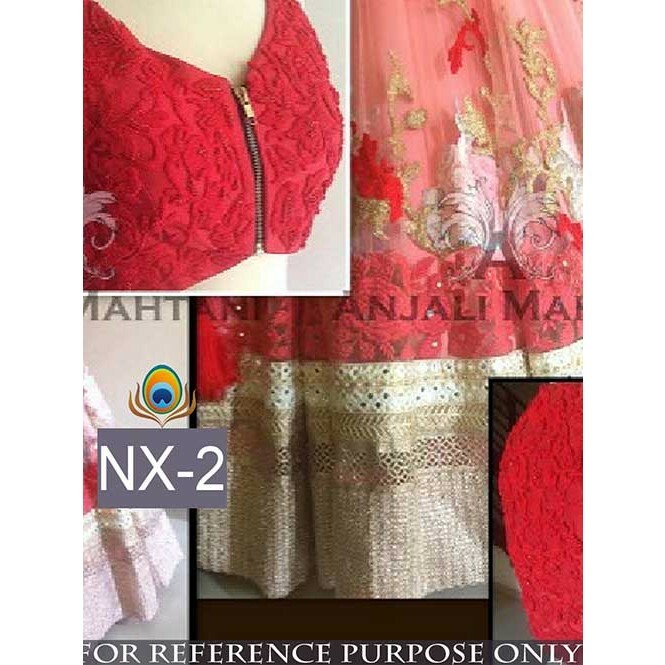 The blouse is made of Rawsilk with embroidery on it. 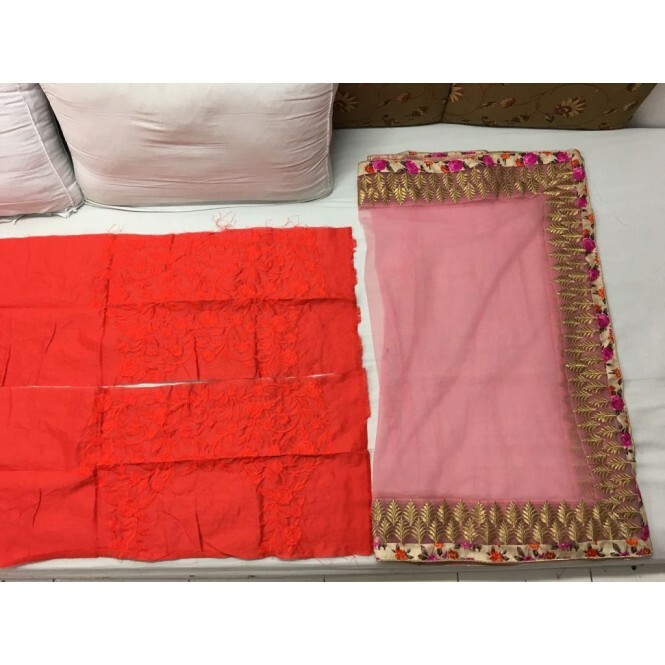 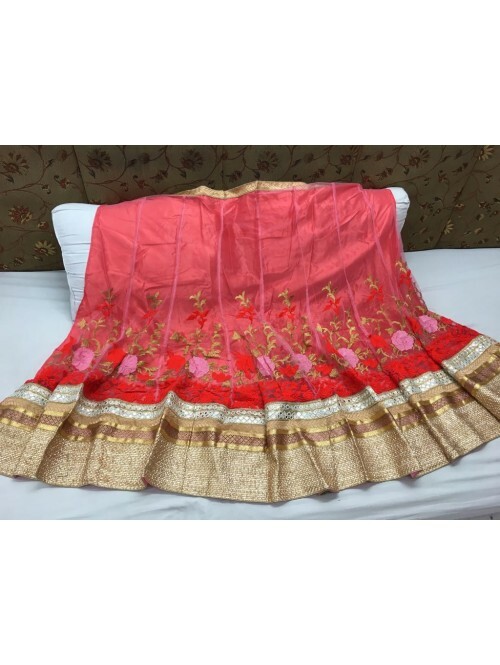 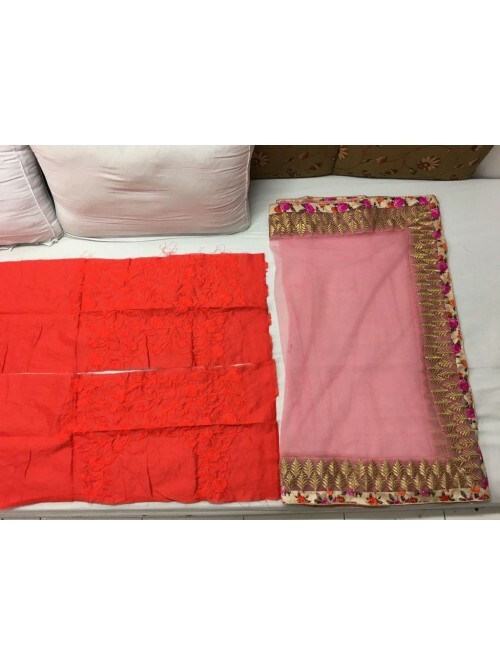 The dupatta is made of net in a contrasting colour with golden border. 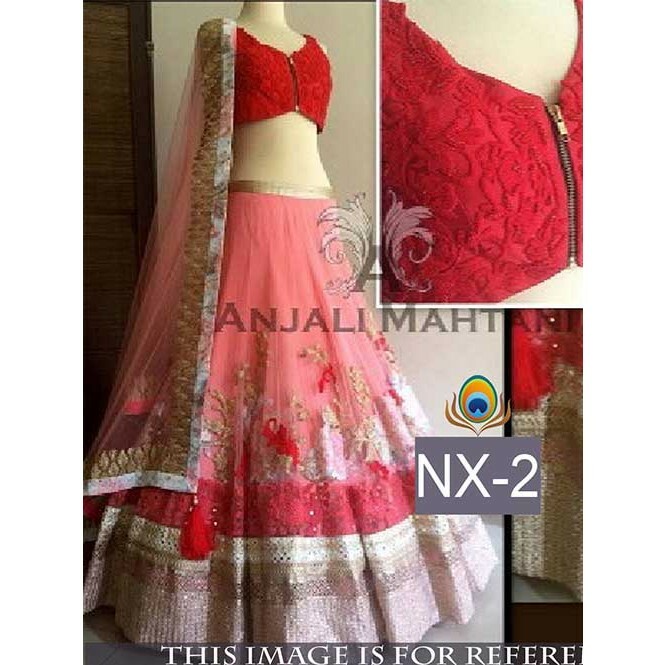 The lehnga is semi-stitched and the blouse is unstitched..